Need more information about booking Home 5139886 ? Kirktoun is a delightful cottage, situated on the edge of Duffus village, on family run Duffus Estate. Originally built for the Estate's housekeeper and gardener, Kirktoun is now perfect for couples or families. Surrounded by fields and woodland, it is an ideal haven to escape to with open country views from every window. Within walking distance of Duffus with its pub, post office, shop and play park, you can be as relaxed or active as you feel. Kirktoun's spacious sitting room has a lovely restored open fire (with complementary logs from the Estate), perfect for cosy evenings in. There is a separate dining room - ideal for long, leisurely dinners with friends or family. Kirktoun has a good sized, private garden; part of which is enclosed - useful for containing children or the dog! You might also be lucky enough to spot some of our resident red squirrels which live in the woods behind. The patio area is great for summer BBQs or sipping wine whilst watching the sun set on those long, light summer evenings we are blessed to get up here in Moray. Duffus Estate has a network of paths, many of which can be accessed directly from Kirktoun. Whilst you are out you might see roe deer, red squirrels or even some of our abundant birdlife. The local woods are also home to a host of wild flowers. Spring time is especially impressive due to the grand displays of snowdrops followed by daffodils and primroses. Close by are the glorious beaches of the Moray Firth with its resident dolphin population, golf courses galore, cliff top and forest walks, the Speyside whisky trail and many historic castles such as Brodie Castle and Cawdor Castle - this oft overlooked area of Scotland really has plenty for everyone. As Kirktoun Cottage is in a rural location, car is the best way of getting around and seeing the local area. There is a hourly bus service which runs through Duffus to Elgin during the day. The closest bus and rail stations are found in Elgin which is 5 miles away. We live locally and try to pop in if we see your car at the property to say 'hello'. We do both work full time, have a young family and run the Estate, so sometimes we might not make it round - please don't be offended! We are however, very happy to help, so if you need any information or have any questions about the house please do get in touch by phone or email and we will do our best to help. - Please strip all used beds and vacate the property by 10am on the morning of departure. - We kindly ask that dogs are kept out of the bedrooms, off all the furniture and any mess in the garden is cleared up prior to departure. This Cottage has 2 bedrooms, 1 bathroom and sleeps 4. It’s been listed on Holiday Lettings since 30 Sep 2014. Located in Moray, it has 38 reviews with an overall rating of 5. The average weekly rate varies from £458 to £687. My wife is disabled but can get around, a banister would have been a bonus, it was a nice place to stay and as I lived in the area in the 80s and 90s it was great to show my wife all the places to see, the beaches were fantastic. It was a shame that we didn't get to meet Caroline but we are aware she is a busy lady, if you enjoy the outdoors then this is a place to base yourself there is loads of places to see and do. The location is great for us, near all the fabulous beaches, forest walks and on the Moray coastal bike route. The cottage was as good as last year with the improvement of the garage now being lockable to secure bikes. The cottage has everything we need for a good holiday and is very comfortable. Enjoyed Lossiemouth beaches and my children loved the planes from the air force base circling overhead. Portsoy is worth a visit for the ice cream alone! We have already booked for next year! We stayed at Kirktoun Cottage for 3 nights and loved it ! Had a great time and the children,toddler and 6 year old enjoyed every minute. Lovely views and friendly cows. Would stay again in a heartbeat. Fabulous location with lots of places to visit around about. Good walks and beaches. Post office at the road end was excellent, very well stocked and very friendly lady. Duffus Inn was very good, staff were very friendly and helpful. The property was very comfortable and well equipped. Could do with some TLC on the outside as first impressions were very poor. Clean windows would have helped with overall impression, otherwise we had a very enjoyable stay. (Note for anyone with mobility problems, no toilet upstairs and shower over bath). Owner's reply: Thanks for taking the time to write a review of your stay. We are indeed very lucky to have such a good pub and post office in a village the size of Duffus and within walking distance to the property. I am so sorry you felt the outside of Kirktoun needs some ‘TLC’. We have had a particularly wet September which has meant our regular grass cutting routine has been disrupted. All our properties do get their windows washed monthly. Kirktoun actually had its windows washed this week - unfortunately just after your stay. We shall certainly take a look at the insides of the windows and see if these require cleaning more regularly. Owner's reply: Hi, thank you for taking the time to write us a review. I'm pleased to read that you enjoyed the welcome pack. We aim to give our guests a wee 'taste' of Moray. We'd be delighted to welcome you back anytime. Less than 10 minutes from Lossiemouth, lovely beaches here. Scenery lovely, we had fab weather during our 2 night stay. Would recommend the cottage and would stay for longer the next time. Well equipped with everything you need for a longer duration and pet-friendly with an ideal enclosed garden. Play park within 5 minutes walk. Owner's reply: Many thanks for writing a review. I'm so pleased you enjoyed both your stay and the area. We would be delighted to welcome you back in the future. This cottage is very spacious, has all amenities you'd need and is perfect for families with dogs. The garden is large, well fenced off and leads straight into a forest with walks to explore. We thoroughly enjoyed our stay due to the space inside and outside the cottage. Look forward to coming back soon. Owner's reply: Thank you so much for leaving a review. The property is indeed ideal for those with dogs as there are so many lovely walks locally, including the Estate woodland accessed directly from the cottage. I am so pleased to hear you enjoyed your stay. 2nd times we have stayed at this lovey house. Welcome pack as always very gratefully received and everything you could wish for to make the week simply taking into consideration a grandson of 13 and two dogs. Great to have a freezer. Easy access to beaches, woods and walks and this time once more we went out with 58 adventure and saw minke whales and also visited Inverness Aquadrome which was great fun for everyone. As they say we will be back! 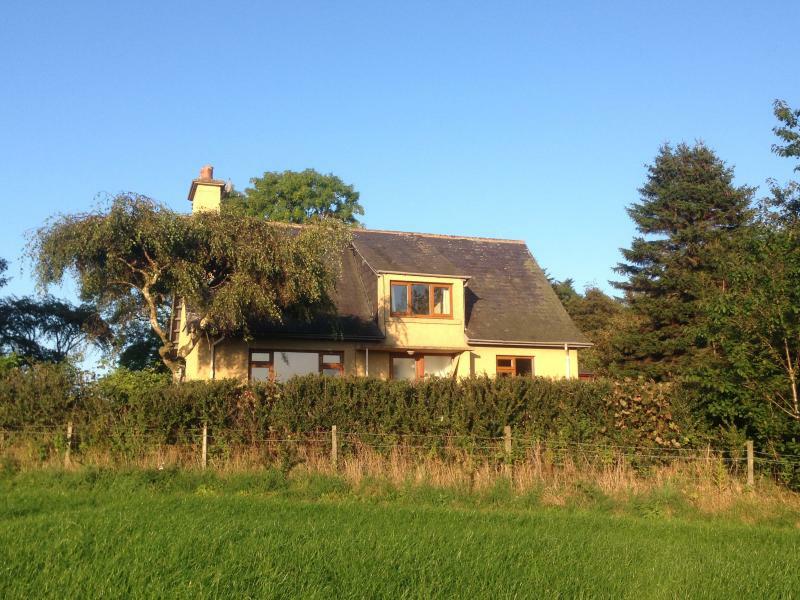 Owner's reply: Hello, thank you for taking the time to leave a review for Kirktoun cottage. It does make the hard work all the more worth to know it is appreciated. I am sorry we were away ourselves so I couldn't welcome you back to Kirktoun personally, but hopefully we'll be able to welcome you back again in the future. My wife and I with our Golden Retriever (Roddy) have just spent a week in what is a lovely well equipped and very comfortable cottage. The furnishings and rooms etc are of a fairly high standard and all necessary amenities are included. The large totally enclosed garden was an added bonus and our pal Roddy made the most of it during our stay. The cottage is ideally suited for visiting the Moray Firth area and the town of Elgin. Within 200M of the cottage there is a restaurant that is excellent for lunches and evening meals etc. Will certainly consider returning again in the future! Owner's reply: Hi, thanks for leaving us a review. I am pleased that you and Roddy enjoyed your stay. The garden and surrounding walks does indeed make it an ideal place to stay with dogs. We are very lucky to have the Duffus Inn within walking distance of the property. We would be delighted to welcome you back again in the future. You can get in touch with Caroline (the owner) through the contact form on this page. Send Caroline (the owner) an email through the contact form on this page. Alternatively, if there’s a phone number on this page, you can call them. How do I contact Caroline (the owner)? If you’ve already booked, go to Manage your holiday booking to view Caroline the owner's contact details or send them a message. Or send Caroline (the owner) an enquiry through the Contact the owner/manager form if you’d like a quote or more info first. When you pay online through the Book your stay form, a booking request is sent to Caroline (the owner). You’ll find out within 24 hours whether they’ve accepted - no money will leave your account before then. You can also request a quote from Caroline (the owner) through the contact form. The owner will email you the total cost for your dates and a link to book and pay online. Use the Book your stay form to pay provisionally online. You can pay by credit/debit card or PayPal. Caroline (the owner) will have 24 hours to accept the booking and no money will leave your account before then. Why can't I call Caroline (the owner) before booking? You’ll need to contact Caroline (the owner) to do this. Send them a message in Manage your holiday booking or through the contact form on this page. You can request to change the dates or number of people on your booking via the Manage your holiday booking page. To change your holiday dates use the Edit booking button. If you need to change the number of guests staying then send Caroline (the owner) a message. If Caroline (the owner) agrees, they’ll send you a revised quote outlining the changes. You can review and accept/decline this from the Manage your holiday booking page. You’ll have 48 hours to take action before the revised quote expires.